Not quite as cute as the 10 (blind guy and his ex-girlfriend) and 13 (deaf girl and young guy who learns sign language just to talk to her), but still very cute. it was a bit more teary for me - I because think we've all had crushes on people at some time in our lives. Occasionally those feelings are returned, mostly they're not (I was most definitely a frequent sufferer of 'unrequited love' thanks to 'being uglier than Quasimodo' as one crush told me). So for me this resonated a lot, even though my crushes were never teachers and many moons ago now (I'm 52 and happily married), I can still recall the feelings of being faced by the person I liked so much and being overcome with shyness and nervousness. Sometimes people can hurt you without even realising and other times they do it knowingly because they believe it's 'for your own good' ( I HATE those words in any context). I can't say much more as I don't want to spoil it. This was really adorable, don't get me wrong; as all the ones I've watched so far have been - but this definitely brings a lump to your throat where the others didn't. STORY - VERY good; it was a nice take on the old 'teacher/student' trope (and one that's currently being done a LOT right now). It was entertaining and engaging from start to end. For me it was definitely 10/10. ACTING/CAST - Right on the nose. They really made you care about them; especially the younger ex-student who was still genuinely in love with her 'Sensei'. Both actors who played the main leads were excellent - so much so I will be looking out more of their work. The only reason this part got what it did was for the way some of the narration got a bit clunky. Okay, my grasp of Japanese is rudimentary to put it mildly, but even I could tell it was a bit stilted in places - though that could be more down to the script and my interpretation of what was being said. I won't know for sure until it's (hopefully) subbed. So it gets a 9/10. 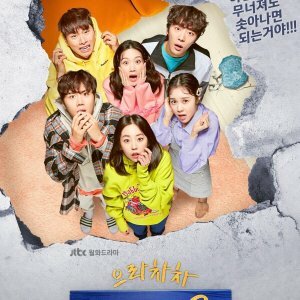 MUSIC - This was the worst part of it; it was just like background noise.....the sort of music you expect to hear in a lift as you ride up and down a shopping mall, not as the soundtrack to an really cute, sincere and engaging drama. So hence it's 6.5/10. 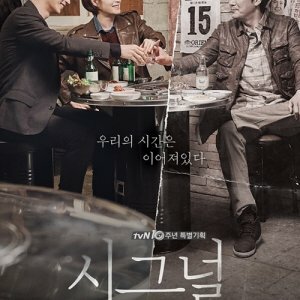 REWATCH VALUE - This is really high as it's one of those little dramas that's engaging enough that you enjoy it and short enough to slip it in to any short viewing window you might have; the story sticks with you and you will want to watch it again. So far I've watched it twice.....there will be more times too. So it got a full 10/10. OVERALL - so overall I gave it 9.5/10 due to the musical let down and the little bit of stilted moments and narrations along the way. But it's a well deserved 9.5.